Born out of the Warp Records back catalogue and Oz Rock staples Machine Age crafted his unique songwriting and production styling in Far North Queensland. An amalgamation of six string soul on a collision course with his Roland 404 sampler his skill sets have been displayed on releases by the likes of Big Scary and BANFF to name a few. 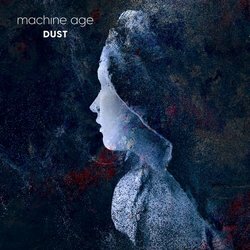 His latest single 'Dust' sees Machine Age's signature sound honed to precision and is the first teasing taste of his debut album "Point of Departure" set for release later this year.